I am a bacon devotee. I’m not sure if you have noticed, but I love the stuff! 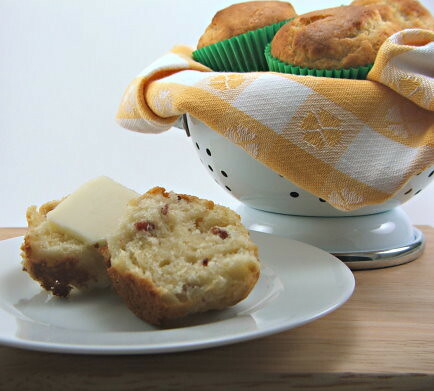 That’s why when I was challenged to create a sweet and savoury bacon muffin I jumped at the challenge! But, this is a tale of sadness, regret, but eventual triumph! Two months ago, on a cold January evening, I was contemplating new ways to use bacon in my baking when my husband asked, “Can you make a bacon cupcake?” A cupcake? No, not that, never that. However, a muffin I could do! So, off to research. I formulated a recipe with a brown sugar crumble and gave it a whirl. They tasted great, but looked about as pretty as homemade soap. Not a shining moment for me, but I moved on. Next I tried no crumble and more maple. They were far too sweet and had the texture of sticky cornbread. BLEH! Long story short (too late, right? 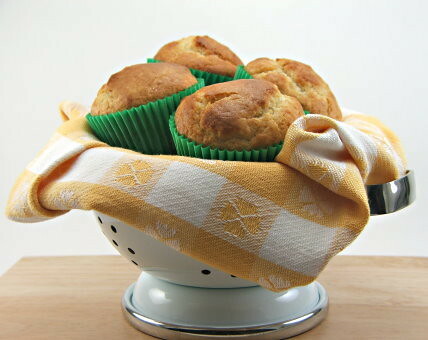 ), after a few more failures I struck the right balance of salty and sweet in a tender, bulging muffins! It is this that I present to you, the perfect brunch bread. .. 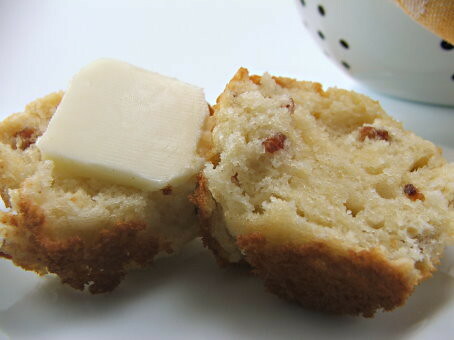 Maple and Bacon Muffins! 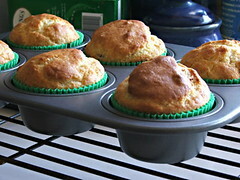 Heat the oven to 400 F and line a 12 cup muffin pan with paper liners, or grease and flour the pan well. Mix the flour, baking powder, sugar, and salt well. 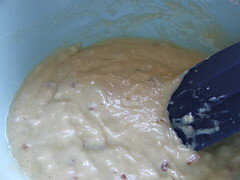 Mix in the crumbled bacon. 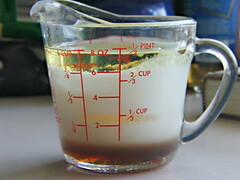 In a separate bowl mix the milk, eggs, oil, and maple syrup. 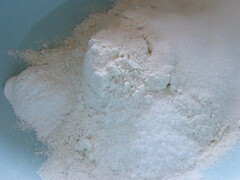 Make a well in the center of the dry ingredients and pour the wet ingredients into it. Fold gently until the dry ingredients are wet. It will be lumpy. Scoop into the prepared pan and bake for 20 minutes.